A reflective service, in the church building. Communion will be served. Open air All Age service at the Rose Garden at the top of Starbank Park. Suitable for adults and children including babies and toddlers in buggies. Egg hunt and crafts for children. Hot drinks in the church hall after the service. Please note- in the event of bad weather the service will be held in the Church. Messy Family Day in the church hall. Come and explore a bible Story about Jesus and his friends through crafts, story telling and reflection. Soup lunch included. Suitable for toddlers – Primary 7 age group and their grown ups! Alpha Introductory taster with light supper, in the church hall. Newhaven Church is a congregation of the Church of Scotland based in Newhaven, Edinburgh. We are a caring group of Christians committed to serving Christ, each other and the community. We’re an active church, not restricted by the walls of our building, and hold a number of events both within the church, around the parish area, and further afield. We hold church services every Sunday at 10.30am, and have Communion Services on the last Sunday of each month. We hold family friendly All Age Services on the first Sunday of each month. You will find a warm greeting at any of these services, where we would be delighted to have you visit us. If you’d like to get in touch by phone or e-mail please follow the link to our find us and contacts page. Happy Easter from Newhaven Church to all of our friends, far and near. 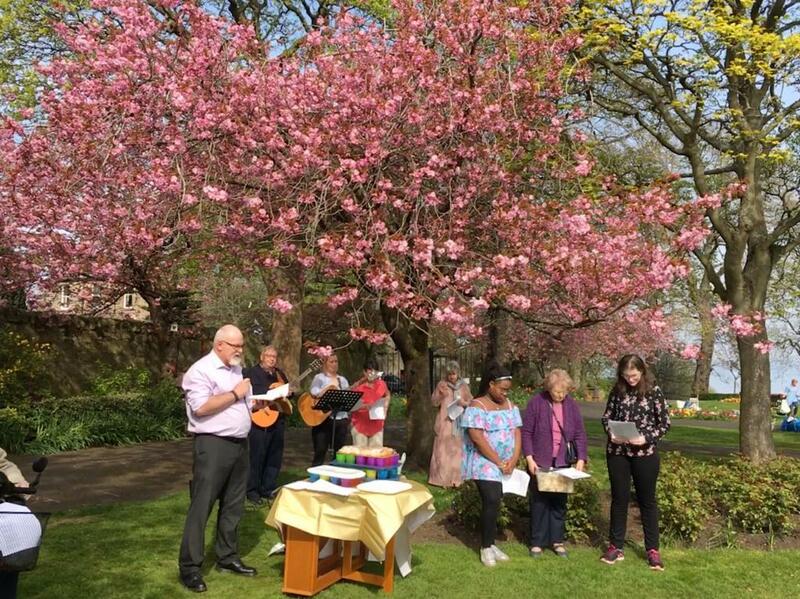 Thank you to all who helped to organise, and participated in, our open air Easter Service in Starbank Park this morning. In this Good Friday sermon, Rev. Peter Bluett continued his exploration of the gospel according to Mark by looking at the crucifixion of Jesus. In this sermon, read by one of our Elders, Colin MacNeill, Rev. Bluett looked at Jesus’s entry into Jerusalem as described in the gospel according to Mark. He explored the significance of Jesus’s visit to the Temple, framed by the story of the fig tree. In this sermon in his ongoing series, Rev. Bluett looked at the stories, in the gospel according to Mark, of the Transfiguration, the Rich Man and the healing of blind Bartimaeus, all of which occurred during Jesus’s journey towards Jerusalem. In this sermon Rev. Peter Bluett continued his exploration of the gospel according to Mark by considering the passages in which Jesus begins to prepare His disciples for His journey to Jerusalem. 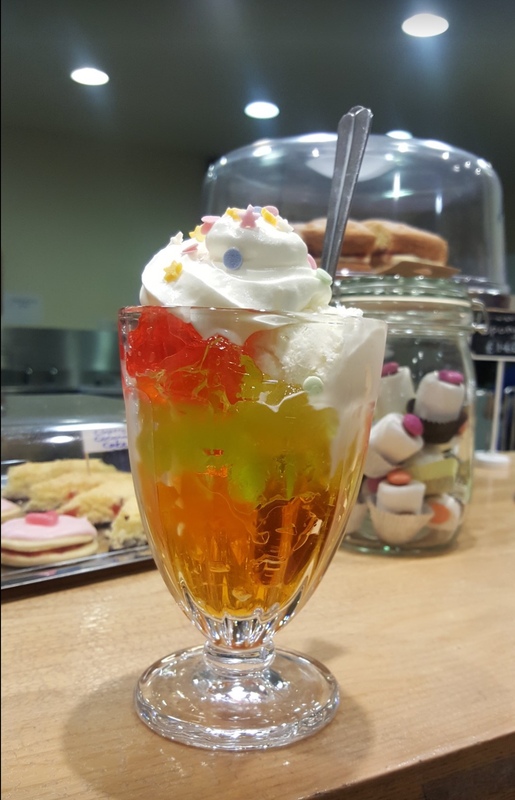 News from our Café Manager, Sandra, about some some exciting events coming up at Newhaven Connections Café! Next week, ahead of Mother’s Day, the Café is doing a special Afternoon Tea (available 11-3) Tues, Wed and Thursday. For the next 2 weeks, a bookstall from the Faith Mission will be selling Easter cards, books, gifts etc. Newhaven Church Connections Café will be hosting an Easter art exhibition from the 2nd-30th April. We are looking for paintings, drawing, and photographs that illustrate the following themes: Hope, Resurrection, Redemption, and Faith. Items may be priced so sell, although they do not need to be. Items must be framed and must be labelled with the artist and category on the back. You are welcome to submit up to three items. Please contact Cassie.Abousamak@gmail.com if you wish to display your work in this exhibition.